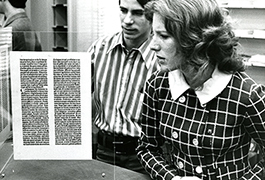 The history of a theological library on the Southern Methodist University campus predates the Bridwell Library building. The School of Theology began its work when the university opened in 1915 and a separate theological library was established in 1925. That library was housed in Kirby Hall, a building that is now Florence Hall, a part of Dedman School of Law. 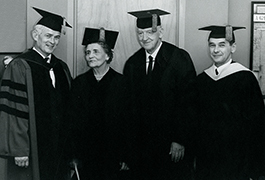 Mrs. Kate Warnick served as the school’s first theological librarian from 1924 to 1950. Bridwell Library is named for Joseph S. Bridwell (1885-1966), a rancher and businessman from Wichita Falls, Texas, who devoted much of his time and resources to building this Library. In the late 1940s, Mr. Bridwell and his daughter Margaret Bridwell Bowdle donated the funds for the first library building. On February 8, 1951, the original Georgian building designed by Dallas architect Mark Lemmon was dedicated along with the rest of the Perkins quadrangle. At the time the collection numbered approximately 40,000 volumes. Throughout the 1950s and 1960s Mr. Bridwell continued to support the Library, particularly in the acquisition of rare books. 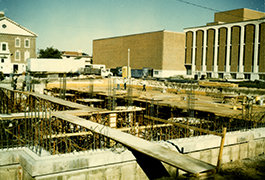 After Mr. Bridwell's death in 1966, the foundation he established provided funding for the first renovation and enlargement of the Library, which was completed in 1973. 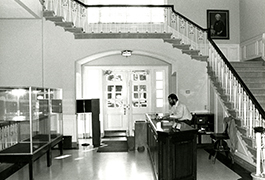 The Bridwell Foundation again funded a substantial renovation and expansion of the library in 1988 under the direction of the architectural firm of Hellmuth, Obata, and Kassabaum. 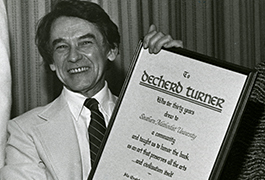 The building was rededicated in October 1989. The Bridwell Foundation honors the memory of J. S. Bridwell, generously supporting library acquisitions, programs, and renovation over the past three decades. 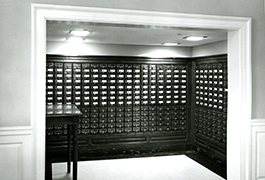 Permission to publish materials must be obtained from the Head of Special Collections of the Bridwell Library.